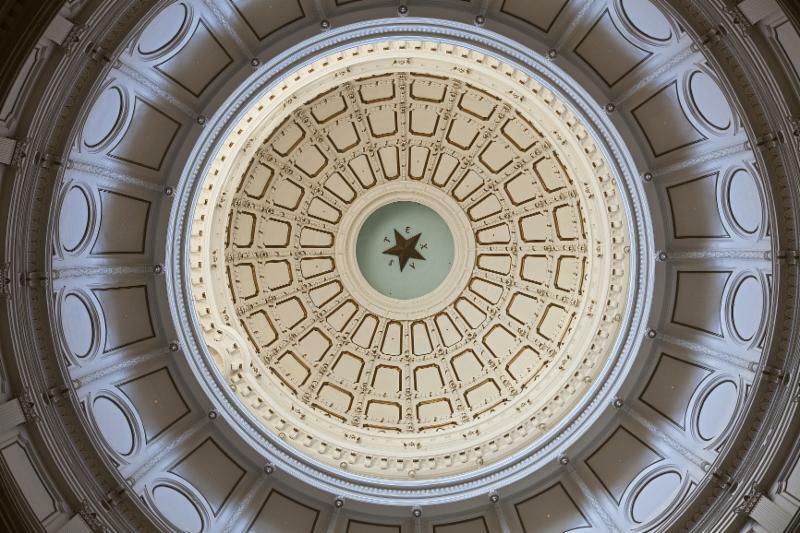 With the Texas Legislature in session, the Texas Telephone Association team has been busy working on behalf of the state's telecommunications industry on several fronts. Every two years during the spring, much of our effort is focused on the Legislature, which meets for 140 days. The legislative session is half over and is moving at an increasingly fast past. The TTA team has been visiting with many of our legislators from across Texas – visits with lawmakers who are old friends as well as some new to the Capitol who are not as familiar with telecommunications issues. There have been a handful of bills introduced in the Legislature related to deploying high-speed broadband services in rural areas of Texas. One key measure is SB 14 sponsored by Sen. Robert Nichols, R-Jacksonville, and its companion legislation HB 1446, sponsored by Rep. John Kuempel, R-Seguin, dealing with electric cooperatives running high-speed fiber networks in electric easements. We are working with the bill sponsors and the Legislature on this important issue. It is important for Texas to maintain a business environment that encourages investment and promotes growth while promoting a level playing field. There is no shortage of work to advance issues related to the Texas telecommunications industry. While the Legislature considers bills, the Public Utility Commission of Texas is moving forward some issues impacting the industry. Virgin Mobile continues to seek designation as an Eligible Telecommunications Provider (ETP) and as an Eligible Telecommunications Carrier (ETC) to provide Lifeline services within parts of Windstream, CenturyLink and Consolidated service areas while seeking to expand in other rural areas. The Texas PUC staff and Virgin Mobile filed initial briefs arguing the remaining disputed issues. The PUC staff in its initial brief concedes Virgin Mobile meets the necessary regulatory requirements to be designated as a Lifeline-only eligible telecommunications carrier but continues to dispute Virgin Mobile’s request for designation as an eligible telecommunications provider because Virgin Mobile does not provide directory listings, operator services or an annual directory and has not committed to serve the entire service area of the rural telecommunications companies. Virgin Mobile argues in its initial brief these requirements are outdated and should not apply to a wireless provider who merely seeks to receive low-income support. While CenturyLink did not file a brief, the company filed a letter indicating it reserved the right to file a reply brief. Reply briefs are due on March 20. The PUC is expected to reach a conclusion in summer 2019. After Texas telecommunications companies opted in to the new Texas universal service funding mechanism, there has not been any substantive activity as the PUC staff continues to review the filings. However, Texas PUC Staff recently reached out to TTA’s legal team and indicated they believe companies that have filed annual reports are required to file traditional earnings monitoring reports no later than May 15, as outlined in Texas PUC reporting rules (see 16 TAC § 26.73 ). TTA and the Texas Statewide Telephone Cooperative Inc. filed a joint letter in project no. 48159 related to the 2017 earnings reports indicating the understanding the new annual reports are broader and would entirely include the traditional earnings monitoring reports. PUC staff remains concerned that without a waiver or possible rule change, companies will continue to be required to file traditional earnings monitoring reports each year by May 15. TTA’s legal team is working with TSTCI and the PUC staff on next steps. As we are now in March, winter is loosening its grip, days are getting longer, and we’ve passed the first major milestone of the 2019 legislative session. March 8 was the 60th day of this session and the deadline to introduce bills for consideration. After the filing deadline, legislators must receive permission of a majority within their home chamber if they wish to introduce bills. The one notable exception to this rule deals with bills relating to issues solely within the confines of a member’s district such as establishing municipal utility districts. As of the end of filing deadline, 7,283 pieces of legislation have been introduced – an increase from the 5,328 pieces of legislation filed in the first 60 days in 2017. All action now turns to the legislative committees that will hold hearings on many – but not all -- of the introduced bills. In 2017, 3,736 bills were heard by committee and, of those, 2,933 bills were reported from a committee to the full House or Senate for consideration. The House committees have until May 6 to report House bills out of committee. There is no similar deadline in the Senate. The Texas Constitution stipulates no bill can be voted out of a chamber before the 60th day of session unless it was designated as an emergency by the governor. Gov. Greg Abbott designated five items as emergencies: school finance reform, teacher pay, school safety (including mental health issues), property tax reform, and disaster preparedness. Despite these items being named as emergencies, only five bills related to three of these issues have passed one of the legislative chambers. The Senate approved SB 3 relating to increased salaries for teachers and school librarians and SB10 establishing the Texas Mental Health Consortium as well as two disaster relief bills – SB 6, SB 7 and SB 8. The House has not passed any House bill dealing with any of the governor’s designated emergencies. Nevertheless, some of the leadership’s high-priority issues come to the floor in the House over the next few weeks. These include the state budget as well as HB 2 dealing with property taxes and HB 3 on public school finance. We continue to work with the TTA team on monitoring legislation that impacts the industry. Currently we are tracking 136 bills. The deadline to apply for Texas Telephone Association Foundation scholarships is approaching The deadline for applications for the 2019-2020 school year is March 29. The foundation this year will award six four-year scholarships of $2000 a year to students entering college for the 2019-2020 school year. Since 1992, the TTA Foundation has awarded more than $378,000 in scholarships to Texas students. The foundation is a non-profit, philanthropic organization founded to help further the understanding of telephony and advance telecommunications as a career choice. The Texas Telephone Association is planning is underway for the Texas Telephone Association Convention and Product Showcase set for August 25 through 28 at the Hyatt Hill Country Resort in San Antonio. ﻿August 12-13 in San Antonio. Have you connected with TTA on social media? Visit our website at tta.org for updates. Also, please send us your story ideas or tips for our newsletter, Texas Telephone Association Today. We would like to hear from you. The Federal Communications Commission on February 25 offered an additional $67 million in annual support to certain rural broadband providers that could bring improved service to nearly 110,000 homes and businesses in rural communities across 43 states. Telecommunications carriers that accept the offer must expand the availability of broadband service delivering at least 25 megabits per second downloads and 3 megabits per second uploads to rural customers. Carriers have 30 days to decide whether to accept the additional funding. The FCC’s Wireline Competition Bureau made the offer of additional support to 207 rural rate-of-return carriers that receive funding through the Connect America Fund’s Alternative Connect America Cost Model, or A-CAM. ﻿In return for this increased funding, the providers must significantly expand the availability of service delivering at least 25Mbs/3 Mbps speeds in locations which otherwise would have received 10/1 Mbps or “worse” service, thereby better meeting the needs of consumers and businesses in today’s online world, the FCC said. Some industry players are seeking delays on new Federal Communications Commission testing and reporting obligations for broadband. The FCC on July 6 released an order imposing new broadband network testing requirements on all recipients of Connect America Fund (CAF) support. Under the order, Texas telecommunications companies will be required to test broadband speed and latency starting July 1 of this year on a certain number of customers based on company-specific subscriber counts and will be required to file and certify network testing results with Universal Service Administrative Company every July 1. Many parties are seeking reconsideration and are asking for a delay in the effective date of the new testing and reporting obligations until testing solutions are more generally available to small companies and have been fully tested to ensure accuracy. NTCA recently filed an ex parte letter with the FCC outlining some of the practical concerns. However, the FCC has not acted on any of the parties’ requests and state telecommunications companies should plan on implementing broadband testing by July 1. As you may recall, in May 2017 the FCC froze the local rate floor for universal service funding at $18 per month until 2019. The FCC has a pending notice of proposed rulemaking to consider whether to eliminate the local “rate floor” for universal service funding entirely but has not yet acted. Absent further action from the FCC, the local rate floor could increase by about $8 per month. Companies that do not meet the FCC’s local rate floor benchmark could be forced to increase local rates to the rate floor or risk losing federal support equal to the difference between current rates and the rate floor. In order to avoid potential losses in federal universal service funding, local rates should be at or above the FCC’s local rate floor by June 1. Under current Texas PUC rules, companies must obtain commission approval of any local rate increases. The minimum amount of time required to increase local rates would be 30 days after the company issues notice to customers. TTA will continue to monitor for any FCC activity. Telecommunications companies wishing to avoid losing federal support should have a contingency plan in place to file a petition with the Texas PUC. While the FCC has not yet released the latest annual results of the local rate floor survey, in December 2018 the latest survey resulted in a rate floor of $26.98. It would surprise some residents of Houston, Austin, and San Antonio that small, family-owned rural telecommunications companies like YK Communications even exist anymore. When cities are filled with billboards and radio ads touting “the big guys,” it’s easy for the hometown rural service providers on the outskirts of the metropolitan areas to be heard. That challenge mostly motivates us to provide exceptional customer service, but it also causes us to reflect on exactly what it is about being a rural service provider that we love so much. Read more. Universal access to broadband is essential to our country's economic future and key to the opportunity for our families and communities across the nation. If policymakers are serious about permanently closing the digital divide and extending broadband to our hardest-to-reach communities, a comprehensive approach that maps every home and business -- with an exact geographic location -- across the country is necessary. Read more. In these politically divisive times, there's at least one thing lawmakers on both sides of the aisle can agree on: The way we track who in America does or doesn't have broadband stinks. The Federal Communications Commission uses maps that are often wildly inaccurate, stating there's broadband service in places where there isn't and in other instances saying a location has no broadband when in fact it does, sometimes from multiple providers. Read more. Texas stands to gain more jobs than any other state if it expands the use of online tools and digital services in rural areas, according to a report released Wednesday by the U.S. Chamber of Commerce that was commissioned by Amazon. The state could add as many as 23,433 jobs in rural areas over the next three years, according to the report. That would add up to about $6,657 million more in annual sales and about $963 million more in annual wages. Read more. Rural Texas businesses could gain $3.7 billion for local rural economies — more than any other state — by connecting them with digital tools and broadband internet access, according to a new report . Online retail sales nearly doubled between 2011 and 2016, and web tools assisted businesses across the commercial sector, according to the report from the U.S. Chamber of Commerce and Amazon. Rural small businesses were often excluded to those gains due a lack of workforce, training programs and broadband connectivity. More than 25 percent of rural Texans don't have access to broadband Internet, compared to 2 percent of urban residents. Read more. 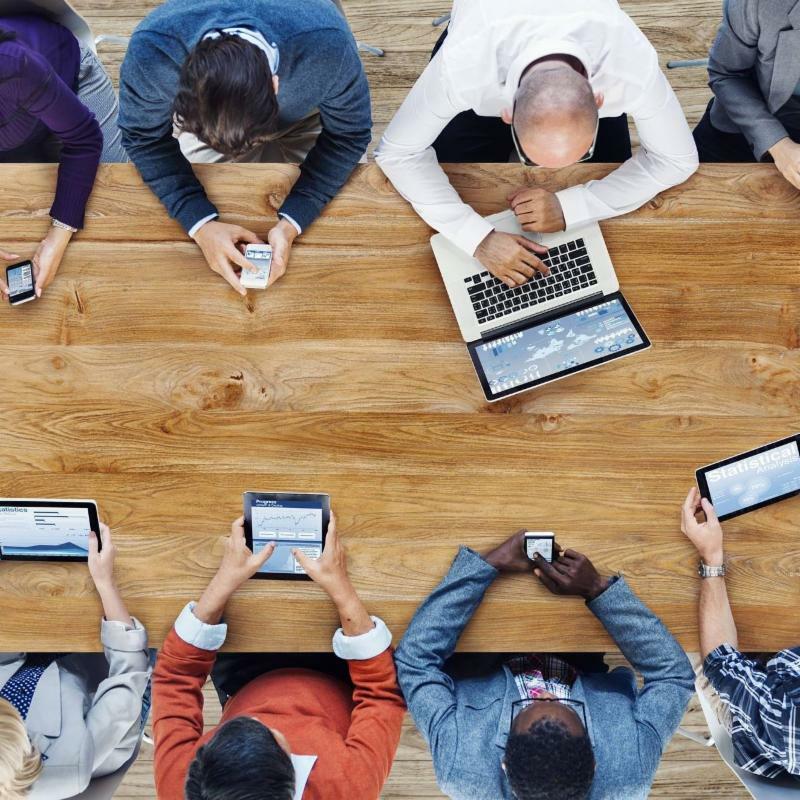 There's no denying that the internet is a big part of everyday life. We use it for shopping, business, and education. But in rural America- especially parts of Texas - the technology hasn’t been able to keep up with the need. The Deep East Texas Council of Governments hopes an internet speed survey could lead to federal grant money that would improve service. Houston County resident Donna McCarty, explained the challenges of internet service in East Texas. “Most of the schoolwork is done on the internet. Research and stuff,” she said. Raising her children, she said she often had to make many trips just for her children’s assignments. “We would have to go the library, or we would have to drive all the way to Lufkin to my parents,” McCarty said. Read more. Three state lawmakers have filed five bills this legislative session to help bring high-speed internet connectivity to those who live in rural areas. Senator Charles Perry, R-Lubbock, and Reps. Charles “Doc” Anderson, R-Waco and Four Price, R-Amarillo, have authored the bills filed in the 86th Legislature to improve broadband access. Read more. Beyond its used for online shopping and bringing your favorite shows, high-speed internet has become essential for everyday life. That inspired a Texas lawmaker to file a bill that would help increase access to broadband internet for rural areas in Texas. There are large areas of rural Texas that do not have access to high-speed internet, or even cell phone coverage, many of them within State Senator Robert Nichols’ district. Nichols filed Senate Bill 14, which would help increase access to broadband internet for rural areas in Texas. “I’m getting a lot of support because all of the other plans for broadband that have been proposed use subsidies,” said Nichols. “This one asks the state for nothing, it asks the federal government for nothing.” Nichols’ proposed plan would be done through the help of Texas electric cooperatives. According to SB 14, these co-ops are nonprofits that “more than 300,000 miles of distribution lines” that could be tapped into for broadband support. The idea is to use the existing electricity infrastructure to deploy broadband to the members they serve and meet their need for high speed internet. Read more. AUSTIN, TEXAS — Government efforts to prevent rural communities from withering have become more prevalent in recent years as populations continue migrating to cities, with technology rapidly becoming key to fostering equitable rural/urban development across the globe. So said four experts split between the U.S. and Europe Sunday morning at SXSW during the “How Technology Can Balance Urban/Rural Development” panel, which took place in a venue hosted by the European Union. The participants touched on a wide range of topics during the talk, including examples of successful strategies, broadband connectivity challenges in the countryside and the role rural innovation can play in it all. Read more. With more than 2.7 billion users around the globe, the sun seemingly never sets on Facebook's network builds. To wit: Facebook is building two new long-haul fiber-optic routes to provide direct connectivity between its data centers in Ohio, Virginia and North Carolina. The new fiber routes will provide additional resiliency and scale for Facebook, according to a blog post by Kevin Salvadori, director for network investments at Facebook. Thinking out of the Facebook box, the new fiber builds are good news for local, regional and other third-party service providers and the communities that they serve. Facebook will allow those service providers to buy excess capacity on its fiber routes. Communities along those routes will have more middle-mile networks to connect to while reaching areas that previously had limited, or no, broadband access. Read more.